It’s hard to remain unbiased while writing about something that defines your identity (a distinct one at that). 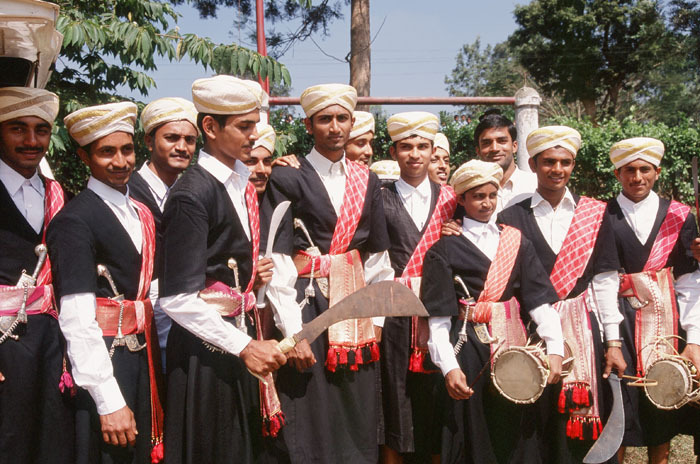 Though Coorg forms part of Karnataka, its people have a culture that bears little resemblance to the surrounding areas. Tomes have been written on the origins of Coorgs. We can argue about whether we are natives of the land, children of Goddess Cauvery,descendents of Greeks or Aryans, an Indo-Scythian race, Arab traders who got acculturised or Georgian gypsies who danced right into India! We can draw connections based on sharp features, language, religious practices, costumes or accessories and piece jigsaws till we’re blue in the face. Befuddling as it may seem, there is nothing to confirm where exactly, this warrior community with a legacy of distinguished soldiers, came from. 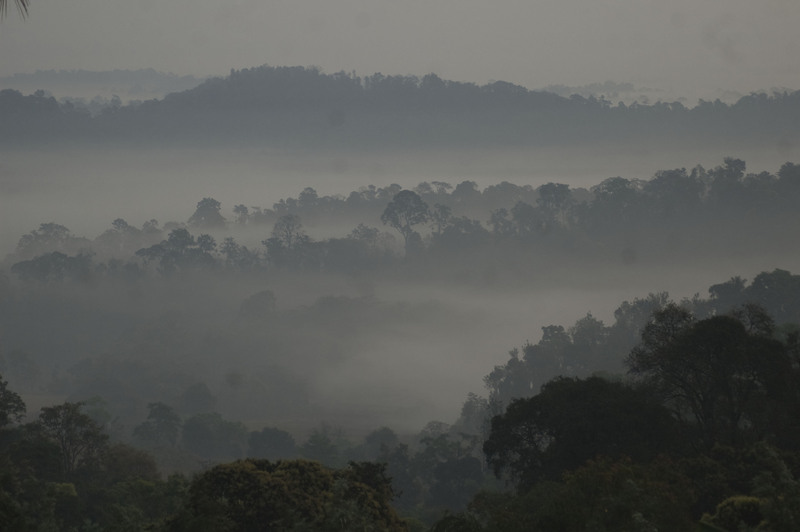 Being a Coorg is a reality I’m reminded of with every sip of morning coffee. 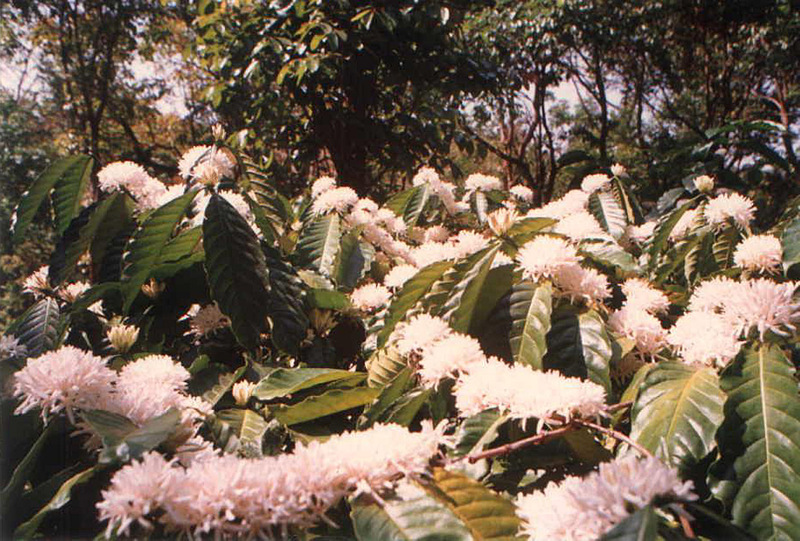 Going by the volume consumed, I should have caffeine in my veins and wear coffee blossoms in my hair! And coffee isn’t the only brew we enjoy. It’s no secret that the majority of Kodavas love to knock-back the ol’ firewater and have a voracious appetite for meat – especially the ones that oink. Be it birth, marriage or death – meat, alcohol and music are a must. Some swear that our wildlife got eliminated thanks to our forefathers’ love for game. So don’t be alarmed when men, women and twenty-somethings quaff together at ceremonial gatherings. In fact, elders mock at the recent trend of youngsters becoming teetotalling grass-eaters! However, there are other things synonymous with Coorgs – good looks, loyalty and an innate pride that forbids a Coorg to curry favour with anyone are characteristics that exude from the entire clan, so excuse us if we preen. A love for creature comforts is another. No matter how much elbow grease goes into running an estate, visiting a planter’s home gives the impression of a life of luxury in a ruggedly romantic county. The omnipresent wicker-backed planter’s chair in the verandah is testimony to that. Though the style harks back to the British years, the props remind me of an Old Western flick – khaki-hued jungle hats and P-caps on horned hat-racks, knee-length boots stashed in a corner, hunting trophies adorning the walls – heads and skins of big cats killed by great-great grandfathers, beautifully varnished deer antlers, glinting criss-crossing swords, rifles, guns and daggers. Phew. You’d think some cool cowboy gunslinger would slam out that double-door and swing into action! Despite a flamboyant and broadminded façade, Coorgs are fiercely traditional. Discipline, respect for elders and adherence to customs is a given. Kodavas don’t hesitate to touch the feet of elders anytime, anywhere. They do it with alacrity… thrice. Another habit, supposedly like the Greeks, is to offer food and drink to ancestors before wetting your whistle. We don’t forget to dip a finger into our grog and tap out three drops for them. Also, the ritual of althith porrduva (sitting before leaving the house) is a pause that spells success in any venture. Ok, maybe we are superstitious. Although most Coorgs migrated to prove their worth in all walks of life, the defense services, agriculture and sports remain pet choices. Hockey is to Coorg what cricket is to India, so the ubiquitous hockey stick exists in every home. 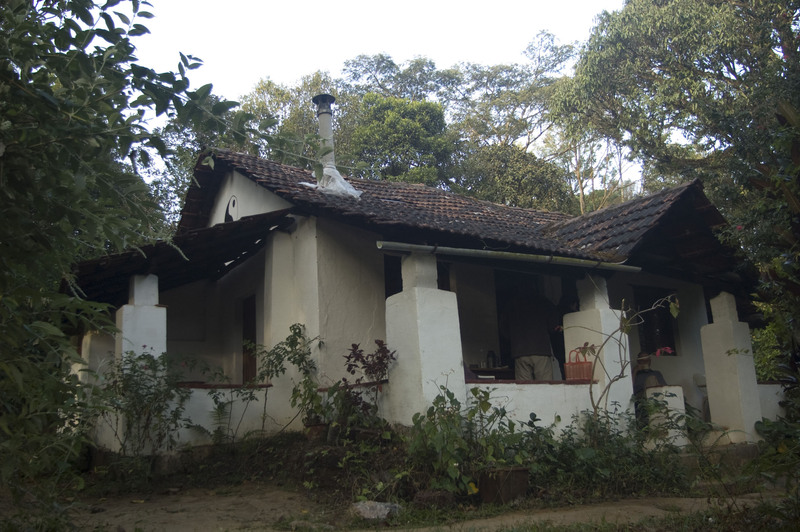 Strangely, I’ve never seen an untidy Coorg dwelling. Even the most humble traditional cottage is clean and inviting. Lush lawns with colourful flowerbeds and pots brimming with fuschia, exotic anthuriums, poinsettia or bougainvillae greet you. 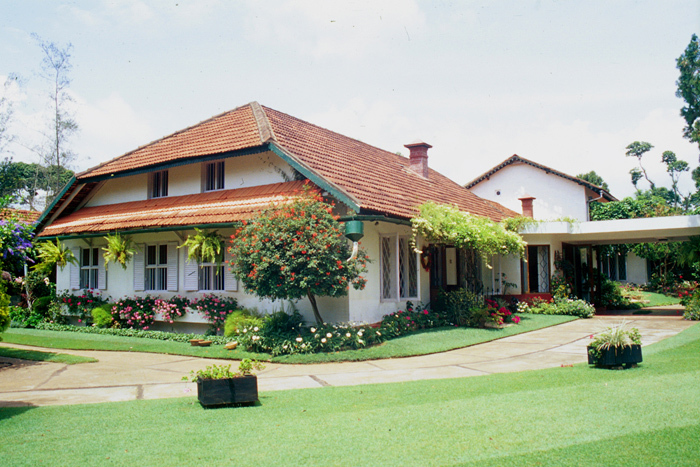 Architecturally, homes blend Kerala and colonial styles with sloping red-roofed tiles and monkey tops. Often, gleaming thookbolchas (hanging lamps) dangle from wooden ceilings. Most Kodava names end predictably with ‘aiah’, ‘appa’, ‘anna’, ‘amma’ or ‘avva’. All Coorgs are identified by family names, so the first thing you ask another Coorg after preliminary introductions is “Daada?” or ‘which family?’ This instant password unlocks the matrix… Immediately thereafter, the person computes your identity and you realise how you’re closely related to a virtual stranger! When Coorg women are on the phone, notice how often they use the word oui. It’s not French for ‘yes’. Here it’s an ever-changing exclamation form, which means different things as conversation progresses. The stress and duration of ouuiii determines whether it’s a question, shock, chuckle or cautionary cry. And another Kodava stereotype: a Coorg guy is usually a handsome hunk who rides a noisy Yezdi or drives a jeep. His fashion statement includes blue jeans, a thick moustache and RayBan sunglasses (he’s been the unofficial brand ambassador for decades). On a nostalgic note, for urban gypsies like me, holidays in Coorg meant a return to innocence. We hunted for bulbul and weaverbird nests in thickets, and shinned up trees laden with juicy oranges, mangoes, jackfruit, papaya, mulberries and guavas waiting to be plucked. We helped to milk the cows each morning, led cattle to grazing fields, fed the chickens and pranced to nearby streams with baskets and thin towels to catch schools of tiny fish and crabs. We skipped into the woods to pop wild berries and went mushroom picking in meadows carpeted by fungi. We knew our aalandi, koday and nuchchi-kummh (edible mushrooms) from our puchchi-kummh (toxic variety causing hallucinations). Tribal labourers would bring wild honey, venison, vannak yerachi (smoked meat) and bemble (bamboo-shoot) and we’d watch them transform into lipsmacking delicacies. Our aunts served up dishes we’d only read about in Enid Blyton books: bakes and homemade preserves of raspberries, strawberries and blueberries. The pantry was a virtual lab with bottled jellies of guava and banana, jars of pickled mangoes, bitter lemon, dates, pork and fish. Perhaps, Coorg women believe anything can be pickled or fermented into wine! Check out the wine-list at any ethnic wedding. Grape is passé. For us, it has to be passion fruit, ginger, pineapple, mulberry, rice, jamun, orange, betel-leaf, flower extracts or coffee liqueurs. Meanwhile, our uncles created targets to hone our sharp-shooting skills and drummed out sounds of kodava-aat as we danced under starlight. Those wild days and bonfire nights seemed to go on forever. Perhaps, things have changed, but traces of a life of Riley and a fancy for the finer things still remain. And every time I step on Coorg soil, rain-drenched and leech-ridden, I know this is the only place where I stop to smell the roses. My home, my land, my secret garden.